Pop Art Minis: #GIVEAWAY TIME! 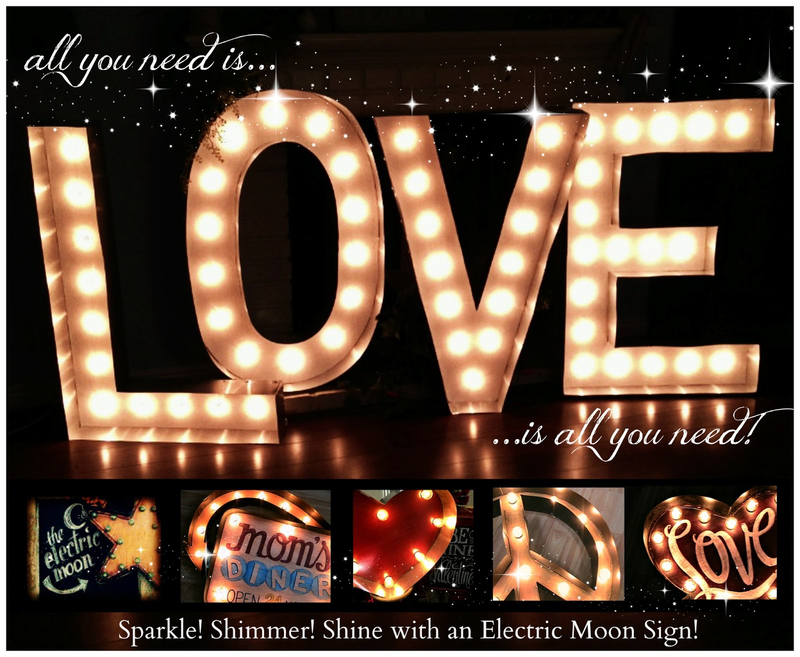 Win A #Marquee Light Up Sign from The Electric Moon...Swoon! A GIVEAWAY YOU'RE GONNA LOVE! It's the start of a new moon in June and a chance for one lucky star to shine bright with an Electric Moon light...all new giveaway fun! The giveaway is for 1 Electric Moon marquee sign, winner's choice! Here's a peek at a few, you may seek. Visit the Electric Moon website to check out all of the signs you can choose from if you're the lucky winner! So you wanna chance to win? And if you can't wait! Here's one more little treat, that you might find sweet! up for grabs till the end of June (2013)! SUPER hard choice but I think I would go with the EAT sign! Love all your signs! I think I like EAT the best. Not easy but I love the Peace Sign! I love the arched arrow sign! Amazing work you have! OMG! This is the coolest prize ever! I've always dreamed of having a sign in the patio! :D I think I'd love to have the "love" one. What an awesome giveaway, very original! I really like the peace sign!! I have always wanted one!!! i love the & and arrow! I would choose the Ampersand sign! I would choose the letter M for our last name. Love the Peace Marquee Sign! 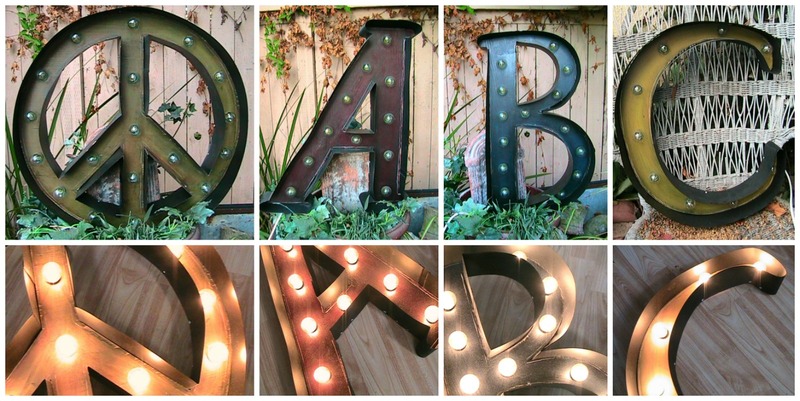 I would choose the Alphabet Marquee Sign in "K" for my last name. i'd pick the LOVE!!! All you need is love. Hi I love moms diner and route 66!!! I like the love arrow marquee sign! I want either the "Heart" marquee or the "Love" marquee. I love the letter signs would love a "G"
I would choose the M for my last name. I'd love the arrow, star or love sign! 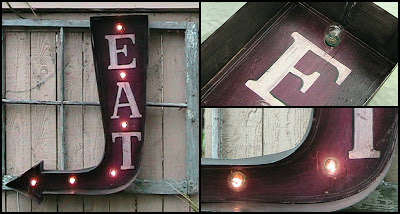 I would ♥ the Route 66 Vintage Marquee light up sign! I'd choose either the Love Heart and Arrow or Eat Arrow sign. those blythe dolls were so sweet I pinned them to a board called Cuties!!! I would choose the Route 66 Vintage Marquee Light Up Sign! I like the love one in your picture, but I don't see it on their website! I only see the heart one that says love. I love the Eat sign and the Peace sign very hard choice. The Peace Marquee Sign is awesome! I'd choose the Star sign! These are awesome! I like the Mom's Diner and the star ones best. Hmmm....that's a tough one....I think the Peace sign. Christina - xristya@rock.com - I'd choose the Star, it's wonderful! Love all you signs...Your art rocks !! Please enter me !! Favorite signs...Mom's Diner, Eat,...oh to be honest I love them all ! !